Alex has summarized my book quite well, but with one major exception: the central theme is the failure of the peace process to oversee the democratic transformation called for in the CPA’s Machakos Protocol, which I contend was the only hope for sustainable peace, both between the two states and within them. Although The Fate of Sudan is not a theoretical study, it proceeds from a critique of liberal peace-making, the starting point of all peace efforts in Sudan. As Alejandro Bendana and other critics have found – and the Sudan experience backs them up – liberal peace making is a top-down approach designed to stop violence, but not address its underlying causes, integrate the warring parties into a Western dominated world order, and while it rhetorically supports democratic transformation, it is invariably traded off. The official sponsor of the Sudan peace process was IGAD, an outfit created, paid for, and directed by a handful of Western states. IGAD (read the U.S.) then sub-contracted the process to its regional ally Daniel arap Moi who assigned his protector, General Lazarus Sumbeiywo, who long had close relations with the American security services to oversee the process, and thus could be trusted. Under Sumbeiywo the NCP, SPLM, and the Western participants locked out civil society, other military groups and political parties, imposed a regime of secrecy, and then contradictorily called for democratic transformation. It was not believable and what followed proved that. The NCP and SPLM used the CPA to isolate their challengers, while the flawed 2010 elections served to undermine their joint commitment to Sudan’s unity by effectively dividing the country before the referendum – all with the support of the U.S. and its allies who feared that confronting the parties would undermine the peace process. The needs of peace and democracy were thus held to be at odds and the former prevailed over the latter – which is usually the case with liberal peace making. However, conflict continued directly or through proxies and allies of the NCP and SPLM in spite of this compromise which also led to the consolidation of authoritarian regimes in Khartoum and Juba. It is my contention that unless internationals can oversee peace processes that genuinely support democratization they should withdraw, that in spite of their weaknesses local actors not operating at the behest of big powers should lead these processes, and if the belligerents are not ready to come to the peace table then we should ‘give war a chance’. No one relishes sitting on the sidelines watching people die, but there is no conclusive evidence that wars which end as a result of peace agreements have fewer casualties or are more likely to lead to sustainable peace than wars decided on the battlefield. Moreover, all too often wars that end with peace agreements that do not involve empowering local people leave them as bad or worse off than when the conflict began. That was clearly the case with the peace agreement that ended the war in eastern Sudan and it could also be argued that was true for the people of Sudan and South Sudan post-CPA. Meanwhile, many of those killed in what was billed as a north-south war – indeed, maybe the majority – in fact died as a result intra-south conflicts. In the final years of the war fighting was largely between the South Sudan Defense Force (SSDF) and the SPLA, and that conflict ended as a result of the Juba Declaration in which the role of the internationals was negligible. Finally it must be noted that unlike the SPLA, insurgents in neighbouring Eritrea, Ethiopia, and Uganda built powerful mass based organizations able to militarily defeat their foes and were thus able – thankfully – to keep out liberal saviors from the West. Your reply raises a number of important issues. Let me start off my explaining that I did not engage directly with your thesis about peacemaking, because (first) I found the other parts of your book (the recent and contemporary history of Sudanese political life) more interesting, and (second), because I am unsure that there is a sufficiently robust theory of “liberal peacemaking” to sustain the argument that you build upon the concept. Let me explore the variant and competing political objectives within the peace process at different times. In line with your book, which was written on the basis of contemporaneous engagement with the issues as they unfolded, and therefore reflects a real-time analysis of the issues with all of the uncertainties and open possibilities of each particular juncture, I will try to be true to the actual debates of the moment, rather than reading history backwards from the present. The 1994 IGAD Declaration of Principles was drafted by the Ethiopians and reflects three principles, namely the governance of diversity, democratization (in the more conventional sense of liberalized political competition) and self-determination. The commitment to self-determination must be seen in the context of the first two: it was contingent on particular political and constitutional projects to achieve the the governance of a diverse nation and the opening up of political life. The 2002 Machakos Protocol simplified the matter and moved towards a north-south polarity. The U.S. and the other Troika members supported the prioritization of the north-south conflict, but at that time the Special Envoy, Jack Danforth, was opposed to self-determination for southern Sudan. (The U.S. had an in-principle opposition to dividing nations and was also skeptical about the SPLM’s capacity for governing an independent South Sudan.) At this point, the objectives of self-determination and democratization were evenly balanced, and there was a fierce struggle within the SPLA leadership over which would be the priority. I don’t think it would be correct to say that IGAD was a stooge of the U.S. in the 1990s (Ethiopia is rarely anyone’s stooge) or indeed in 2002. The CPA was similarly ambiguous, but was drafted in such a way that, whatever the outcome, there would be serious problems. Notably, in the case of secession, there were almost no safeguards on the status of SPLM-sympathetic constituencies in the Two Areas. One problem with your position of “democratization-or-walk away” is that at no point in the negotiations process up to this point, was it possible to say that the parties weren’t committed to some degree of democratization. There certainly should have been more democratic safeguards, but it would have been very hard to make the case that the democratic provisions were sufficiently weak to justify scrapping the process. The elections themselves were a grievous disappointment. I wrote about them at length on “Making Sense of Sudan” and will revisit some of those arguments shortly. Your key point, however, is surely correct. By the mid-point of the CPA, the U.S. and other western countries had made self-determination (by this point tantamount to secession) their priority, and democratization was downgraded, to the extent that the 2010 elections just became a procedural hurdle to be cleared before the real business of the referendum. This was a mistake. It was a betrayal of the principle that the basic purpose of the CPA was to “make unity attractive” by means of democratization and the embrace of diversity in national governance, and it reflected shallow thinking. If indeed separation had become the priority, was it not important to rethink how the democratization process should be conducted, so that democracy would not be the casualty of secession? I suspect we don’t disagree much on these issues (perhaps on nuance and detail). But I still find it hard to accept the argument that there was a realistic option of abandoning an imperfect peace process. I have just finished reading this impressive book. It is in my view too ambitious.Full of details that emboldened the writer but revealed surprising hitches. To say that in the aftermath of the split that overthrew Turabi Bashir’s pictures”graced the streets of northern Sudan” is an exaggeration ,to say the least. Bashir’s pictures are not displayed in government offices or embassies abroad.Some people carried them when Heglig was liberated.Another minor hitch is the reference to Salah Gosh,saying that he got the name Gosh because he studied in India. Actually, he studied engineering at the university of Khartoum.Gosh was one of the Indian lecturers.Among the major points of controversy is Mr Young’s usage of the word tribe without indicating that tribalism (in the Darfuri or Southern Sudanese sense)has ceased to exist thanks to the railway and roads that”shuffled the population like a pack of cards”as I argued in a Sudan Vision article.We do not fight because detribalisation as a result of intermarriage has removed tribal prejudices and historical animosities ,or relegated them to the field of jokes. The writer seems to underestimate the enormity of the achievement of peace after tens of years of destruction.Despite scepticism the CPA did work ,because”an imperfect peace is better than a perfect war”. The former UK representative Michael Ryder put it succinctly when he noted during a forum on 24 April 2013″the bumpiness “during implementation. Moreover the writer seems to forget the bumpiness of the process of democratisation in Europe and the USA. Three weeks ago the first interracial dance was organised in Georgia, USA and we still remember what happened during George Bush’s election race with Al Gore and how the august British House of Commons was misled by Tony Blair. Citizens no longer vote enthusiastically and party membership is declining alarmingly. Another factor is the difference between centre and margins(periphery). What about the income disparity in the West and the North-South gap in the UK for example? The writer has enumerated the way in which neighbouring countries were armed and pushed to support the SPLA, without expressing surprise at such an unprecedented coordinated onslaught. What I find amazing is the continued demonisation of the government AFTER the CPA and after the end of the one party rule. The writer boasted that he took local transport and drank tea from “sit alshai”; it is a pity that he has not heard the proverb: Alaafia darajat, “regaining help comes in stages”. There is no knock-out in political processes in the Sudan or elsewhere. To his credit ,the writer has dared to outline the weaknesses of the SPLM and has even hinted at the role of the Enough Project and the US politicians who speak English with a Likud accent. 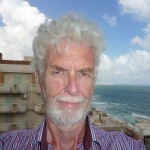 This is a significant point because the real flaw in Western policy is the tug-of-war between experienced diplomacy and responsible leadership and between the need to accommodate the demands of the Far Right strategic ally whose opinion about stability and peace in the Sudan has been expressed in the attack that destroyed the Yarmouk munitions factory. It is easy for Mr Young to be pessimistic and not offer any alternative agenda. Such an approach is not good enough for us Sudanese who need to shoulder many tasks, including patience with the results of SPLM weaknesses.